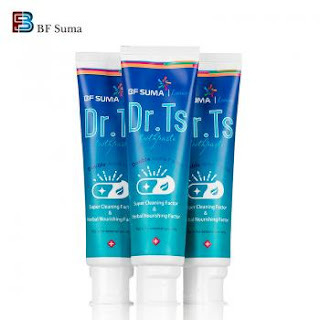 What is BF Suma Dr.T Tooth Paste? BF Suma Dr.T Tooth paste is a natural herbal toothpaste providing 4D cares for your teeth. 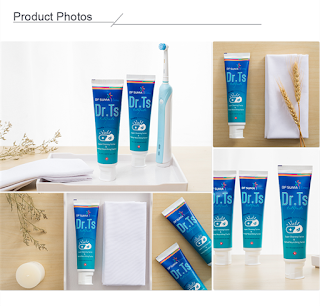 Dr.Ts contains ingredients will give you an overall oral protection. Blue cleaning factor ensures thorough cleaning, strenthens enamel and prevents cavities. Green herbal factor, incluing notoginseng, green tea and lonicera japonic, can nourish teeth and gums, freshen breath and reduce inflammation. 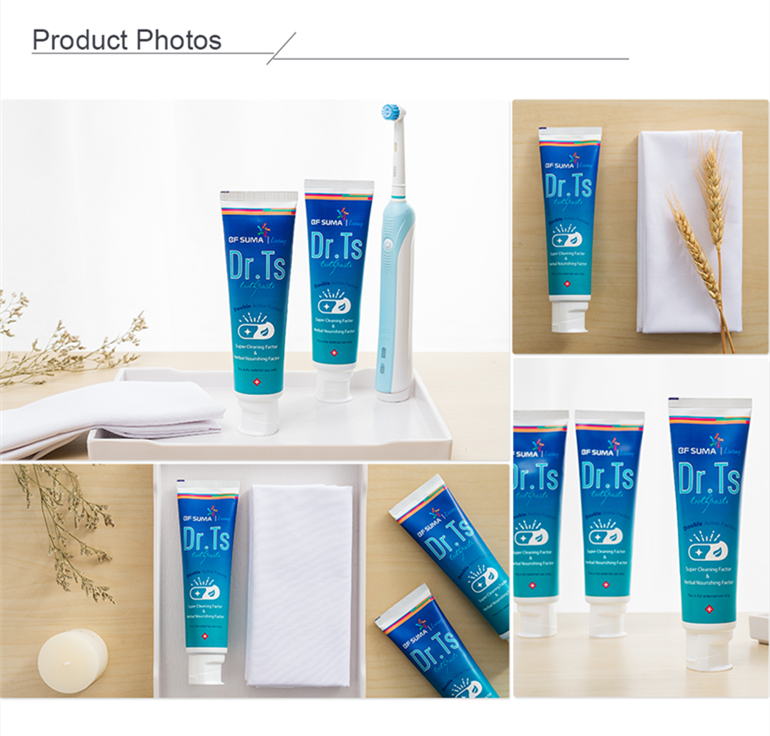 Why Choose BF Suma Dr.T Tooth Paste? Double Active Factor - Blue cleaning factor and green herbal factor, super cleaning for oral environment. 4D Care - Ensure thorough cleaning / prevent cavities / nourish teeth / freshen breath.